Royal Life Centers at Sound believes that guest-centered experiential therapies promote healing through creativity. Not only do they exercise different parts of the brain, but they also tend to be more hands-on than other forms of therapy. In addition, experiential therapy often uses expressive tools to reenact past experiences. Activity therapy might include art, music, and journaling for therapeutic purposes. Our activity, adventure, and equine-assisted therapies are also considered experiential therapy. Art therapy, which includes painting, sculpting, and other forms of visual art can facilitate self-discovery and as a result, bring repressed feelings to the surface. Emotions associated with anxiety can be put into creating artwork. Thus, relieving stress and developing new thought patterns. 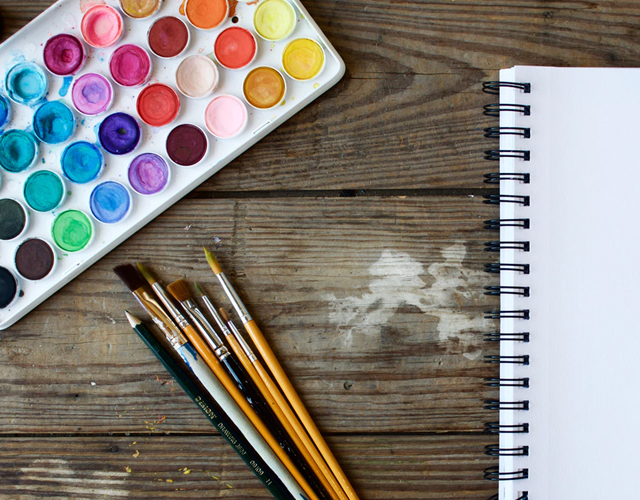 Additionally, research has shown that art therapy can be useful in treating other mental health disorders that often co-occur with substance use disorder, such as depression, anxiety, bipolar disorder, and PTSD. Learn more about our art therapy program here. Writing down feelings and thoughts helps with anxiety management, stress reduction, and coping with depression. In particular, journaling can be a very effective tool for treating substance use disorder. As a result, writing emotions on paper can reduce their intensity. The relationship between music and emotions is often a powerful one. Royal Life Centers at Sound offers different music groups covering topics such as musical healing so that guests can experience the power of music for themselves. At Royal Life Centers at Sound, we believe in the transformative power of movement therapy. Yoga can relieve stress, increase self-reflection and self-awareness. Furthermore, regular practice improves overall health and wellness. In addition to being a mind and body-balancing activity, yoga actually repairs pathways in the brain destroyed during substance abuse. Meditation and mindfulness help develop a healthy lifestyle. Research has shown that mindful meditation can improve anxiety and depression. According to the National Center for Complementary and Integrative Health, it can also help with insomnia. If you have questions about our activity/movement therapies, or any of the programs that we offer, please call us at (877)-RECOVERY. Our admissions team is available 24/7.